Originally from the Middle East, shawarma has become a popular food choice in the Philippines because of its distinct taste suitable to the Pinoy tastebud and affordable price. This food consists of thinly sliced cuts of meat with hummus, tahini, cheese, vegetables and even french fries rolled into a large piece of pita bread. In the Philippines, shawarma stands can be seen in public places like schools, supermarkets, malls and even in bazaars. Although there are many shawarma brands you can franchise, making a home-made shawarma for your business can also be an option. 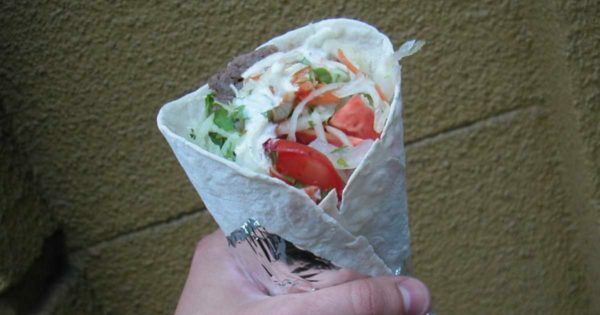 Here’s a simple recipe for your home-based shawarma business. In a bowl, combine yoghurt, lemon juice, pepper sauce, vinegar, onion, black and cayenne pepper, mace and salt. Add meat to the mixture then marinate overnight. After marinating for at least 12 hours, stir the meat for a few times. Grill the meat until done. You may also broil it in oven. To make the tahini sauce, combine parsley, lemon juice, tahini and garlic. Whisk well and add water if necessary. Open a pita and spread some tahini sauce on it. Add lettuce, tomato, onion and meat. Make sure to place enough meat on pita so that it will cover 1/4 of of the loaf. Roll it like a soft taco or burrito. Pour on a little tzatziki for extra flavor.